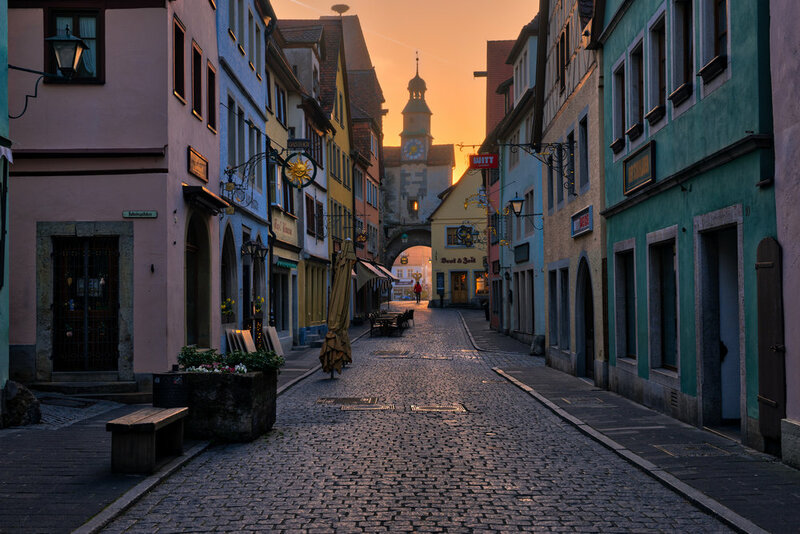 When we were in Rothenburg, Germany earlier this year, I got up for sunrise one morning. It's my favorite time to shoot, and doubly so in Europe because I love having the streets all to myself. Although the sunrise wasn't spectacular, the golden light spilling onto the tower in the distance with that one person walking through it really caught my eye.